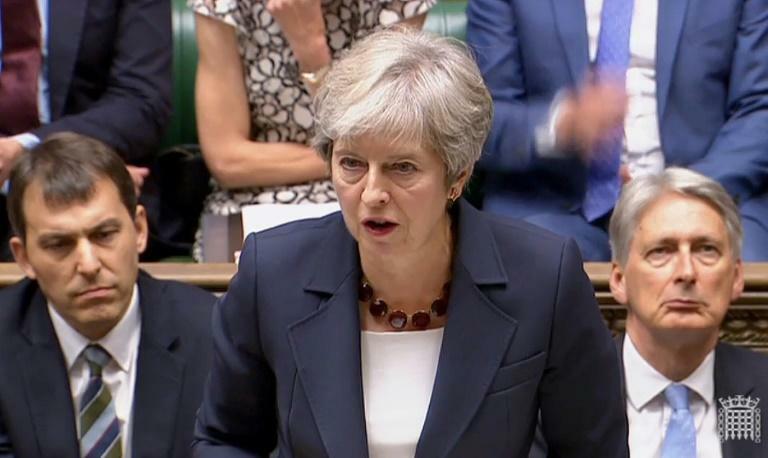 Britain's Brexit minister rejected claims Wednesday that the government's EU withdrawal plan was "dead" after opposition in Brussels and by MPs on all sides at home. Facing May earlier in the House of Commons, Corbyn warned that uncertainty over Brexit was seeing big firms relocating out of Britain. On Tuesday, German Chancellor Angela Merkel offered her country's financial centre her support to attract new business after Brexit.